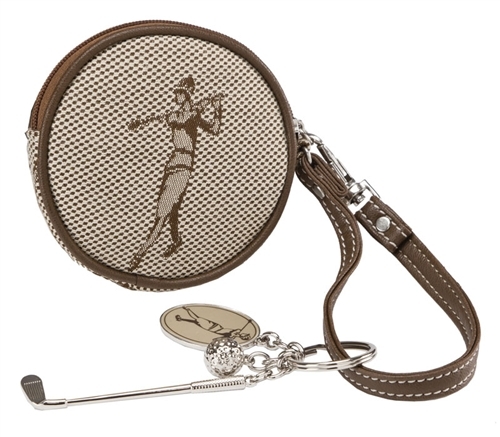 Signature Ladies Golfer Jacquard trimmed with rich brown faux leather. Top zip entry with brown faux leather strap zipper pull. Key ring with Classic Lady Golfer charm and metallic silver golf ball and club charms. Interior fully lined with signature Sydney Love polka dot fabric.